Okay, so after first reviewing the Springfield XD series, I moved on to their updated XDM and XDS guns, but I saved the best for last. 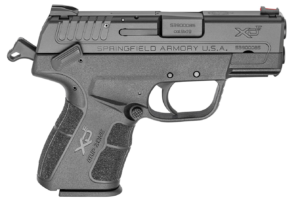 The newest and most improved Springfield handgun based off the XD-platform is the incredible XDE semi-automatic pistol. Springfield Armory essentially combined all of the beloved features from the XD, XDM, and XDS, made a few important modifications, and released the XDE. 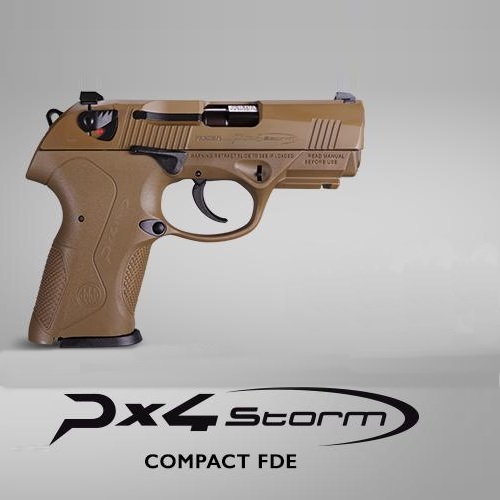 My first impression of the XDE was that it felt like a custom-firearm, and I was even more shocked to learn that they market it for around $500. 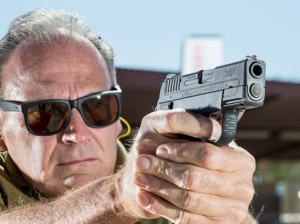 From the moment I picked up the XDE, I knew that it was no ordinary CCW. As I’ve mentioned previously, I’ve been searching for the ultimate daily carry weapon, and this Springfield has made me totally reevaluate all of my expectations. One of the biggest surprises of the XDE was how much of a jump it was from the previous XD-platform Springfield. 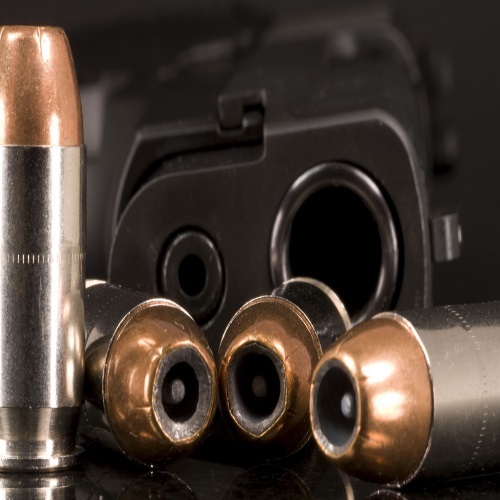 The XDM and XDS were decent upgrades from the original model, but the XDE is light-years ahead of its predecessor, while still keeping true to the XD style. After taking a closer look at the reinvented XD, I was happy to see how many nuanced revisions they made in such a small firearm. After loading the XDE, I noticed how easy it was to rack the slide. This low-effort slide was by far the easiest pullback I’ve ever used; in fact, Springfield claims that it’s up to 27% easier than its predecessor! 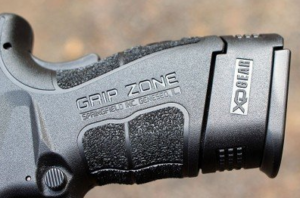 The ergonomic and effective Grip Zone was first introduced on the XD Mod.2 and has resurfaced with XDE. The form-fitting grip drastically increases handling and comfort while also effectively reducing recoil. One of the biggest differences in the XDE was the introduction of a hammer. However, the smoothly rounded hammer not only allows for fast and easy drawing, but it also enables the shooter to choose between single and double action. Additionally, Springfield integrated a convenient ambidextrous thumb safety de-cocking lever on the rear of the pistol. Overall, this has got to be the easiest hammer-fired handgun to use I’ve ever seen. It’s comfortable to carry, easy to draw, and shoots like a beast. One magazine in and I can’t think of a single complaint about this gun. The no-slip grasp offered by the Grip Zone works wonders even in the 95-degree summer heat. Also, I am proud to announce that even my wife was able to pull back the slide by herself! The effortless racking ability is a huge plus in my book – thank you Springfield. Furthermore, while I don’t mind single action pistols, it was great to have the option for double-action use. While the XDE’s accuracy was nothing to rave about, the overall ease of use, manageable recoil, and superior ergonomics made it such a pleasure to shoot. Ever since the XD Mod.2, Springfield has been using fiber optic front sights and low profile extended rear sights on most of their XD-platform pistols. While still a standard sight system, these sights on the XDE are way easier to use and noticeably affect accuracy and also offer faster target acquisition. Although the Springfield magazines are nothing special themselves, it’s the options which are impressive. The XDE comes with two magazine options which allow the shooter to personalize capacity and concealability. Each of these semi-autos ships with one 8-round mag with Grip X-Tension and one 9-round mag with Grip X-Tension. Now, I don’t necessarily recommend adding attachments to the Springfield XDE, but with an accessory rail forward of the trigger guard, there are some nice aftermarket options to choose from. 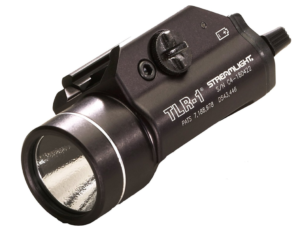 If you’re in the market for a tactical light, consider adding the Streamlight TLR-1 for a simple and affordable flashlight. Similarly, check out the Crimson Trace Rail Master Universal Fit Green Laser Sight for a basic and reliable laser. However, there are plenty of more advanced options out there, such as dual light & lasers. If you’re looking for a sweet combo gadget then I recommend hooking up your XDE with the Streamlight TLR-2G, but it’ll cost you about $300. For a more reasonable combo laser sight/tactical light, you can’t go wrong with the Barska laser/weapon flashlight 2nd Gen mount. Considering that Springfield crafted this guy for ultimate concealability, it’s crucial to invest in the right holster. Because this gun is so slim and lightweight, you’re gonna want a top-notch minimalist holster. I really like the Bianchi Model 57 Remedy Belt Slide Holster for the XDE, plus it’s super affordable ($56) for such a good product. For an IWB option, the Desantis Sof-Tuck is a no-brainer for me. Lastly, the XDE is a great CCW to pocket carry, so I’m gonna recommend another Desantis holster- this time it’s the Nemesis. The most comparable 9mm CCWs on the market are the Ruger LC9S, Smith and Wesson M&P9 Shield, Kahr CM9, and the Sig P250. These impressive firearms all hover around 1” or less in their grip width and have noteworthy reputations backing them up. Interestingly, there is actually a decent variance in their overall weights; the 14 oz. Kahr comes in at the lightest while the Springfield is the heaviest at 25 oz. At the end of the day, I still think I’d prefer the XDE, even with all my experience with these other firearms. For a more in-depth comparative analysis, check out my reviews of these CCWs. First and foremost, I had a great time at the range with the Springfield, and that shouldn’t be overlooked when looking for a new gun. Secondly, for a company not especially well-known for their handguns, the XDE is arguably one of the best sub-compact CCWs on the market! All things considered, including its surprisingly low price tag, I can easily recommend the XDE to anyone looking to boost their arsenal or in search of a daily carry weapon.